Ace score by Morricone and Gruppo, includes the haunting title theme, which is surely some influence on Julee Cruise?! “Fourth and last reissue of this Spettro invasion and, obviously, a tribute to the greatest Italian maestro of original soundtracks, none other than Ennio Morricone himself. Giornata Nera per l’Ariete (The Fifth Cord in english) is a 1971 Italian giallo film directed by Luigi Bazzoni. The Italian title, which in its literal meaning reads “Black Day for the Ram”, in its typical figurative meaning could translate as “A Bad Day for Aries”, reprising Dario Argento’s practice of using animals in the titles of his thriller films. The film is based on a novel with the same name by D.M. Devine, stars Franco Nero as the main charachter and strangely has remained a cult for a few fans despite being a good and weird giallo flick and an amazing photography by Vittorio Storaro. 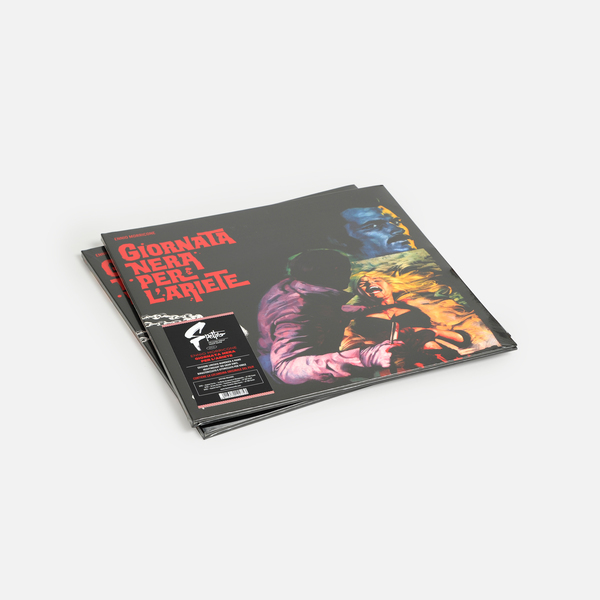 The soundtrack, like many Morricone’s scores of the same period is disturbing and tense, dark and unnerving like his best moments, and it features the legendary Gruppo di Improvvisazione Nuova Consonanza as backing band in several tracks.